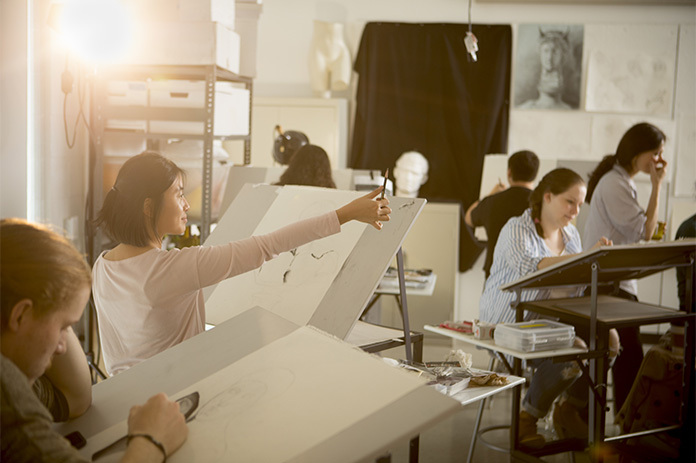 At Juniata, art history, integrated media arts, museum studies, and studio art are combined in one department, enabling the faculty to foster creative potential through interactions in the classroom, studio, and museum. The department seeks to develop students’ understanding of how creative expression reflects and constructs the ideas, values, and histories of diverse individuals and cultures. Why Art History and Museum Studies at Juniata? Learn to curate exhibits of classical artists and your peers at the Juniata College Museum of Art (JCMA) and gain studio and art history experience. The many resources available to students--Juniata's computer art studios, pottery shop, JCMA, and exhibition areas--as well as study abroad opportunities in the arts in England, Italy, Germany, Australia, Japan, Ireland, France, and Greece, contribute to Juniata's art department having a 100% placement of students in graduate programs in museum studies and art history. Czech Castle Collections is an interdisciplinary course focusing on the art, music, history, and culture of the Czech Republic. You will learn about and work with the art, music manuscripts, and cultural artifacts in the Lobkowicz Collections at Nelahozeves Castle. While in Prague you will also attend concerts and lectures, visit local and regional cultural institutions, and learn about the business of running a museum. For more information or to express interest, contact Dr. Streb or Dr. Gould.